Customer Testimonials for NorthBrook Auto Sales Inc.
"NorthBrook Auto Sales is a great dealership! Very Professional, very friendly and helpful! You will not regret buying any vehicle from these guys." 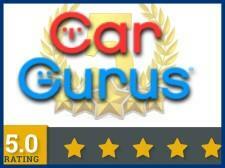 "I purchased my car from Northbrook Auto Sales a little over a month ago. My sales rep. was Steve Jeffrey. I First spoke to Steve about a week prior to driving down from Maryland. During that time, Steve went over the features of the car and even called me back later in the day to discuss an issue they found with the vehicle. (There was nothing major wrong with the car). When I arrived at the dealership, he gave me the keys and told me where I could go drove the car. (Without him!) Upon arrival, we sat down and discussed price. At that time, I had Steve advised me of a part to the vehicle that he would mail out to me. About a week later, after purchasing the car, he called to tell me to advise that the part was on the way. Sure enough, I received the part! I couldn't be happy with their professionalism and honor. I have had no issues with the vehicle and my friends can't get over the low price I paid for the car. There's not enough company's around like these guys!" 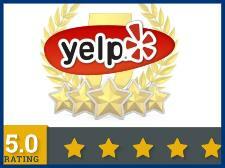 "Overall I had a really nice experience in dealing with NorthBrook Auto. Steve and his partner were great, we found a couple small issues on the vehicle I was looking at, and they fixed them immediately, no problems, they even sold me the vehicle cheaper then it was advertised for, they worked well with my schedule coming and going, as they are in Glen Allen, Va. and I'm in Newport News, Va. I feel like I got a good deal on a 2001 BMW X5 for my daughters and I, even my Uncle Johnie was pleased and impressed with Steve and his willingness to make this deal work, and it takes something to impress Uncle Johnie, lol. The vehicle was in excellent condition and drives so well, first day of ownership was today, I drove it home, and so far, I love it....Thanks Steve !" "I went there to get a smart car with my mom, Steve, our salesman, was amazing. Before we even looked at the car, he explained to us the entire system of the car dealership. Taking a test drive was easy, the car looked exactly like it did in the photo and ran very well. He didn't try and figure out which price we had seen the car listed as and he was very straightforward about the car's strengths and weaknesses. The dealership is very picky about the cars they bring in so you will get a great car no matter what. Everyone was friendly and straightforward, and even other customers who came in kept telling us how great the place was. And even though we saw the price listed a grand higher, we were still given the price that the car had been changed to that day without even asking for it." "The customer service was outstanding, I give them a 100!!" "Great guys to work with, friendly, honest, caring. They don't hassle you and go above and beyond. I'd recommend buying your used cars/trucks from them!" "Steve, was great to work with! Helpful and knowledgeable! I would buy from them again." "Steve was absolutely fabulous to work with. Thank you so much for your patience and time. We will be back for sure!!" "Experience was great. Steve was very informative and other than a few small issues, which Steve made good on, purchase was seamless. Thanks so much to Steve and Tom! Will drive the 300 miles again to purchase another car off of you guys!" "Great experience at North Brook Auto Sales Inc.. Found what I was looking for and was able to drive away in my new ride happy. I was really impressed with the sales team the entire process. The vehicle I purchased was exceptionally clean and prepped to a T. I wouldn't hesitate to go back to them." "Great working with Steve at NorthBrook Auto Sales. It was a very easy process, and definitely would recommend doing business. They process from beginning to end was very respectful and definitely the way car buying should be." "The perfect place to buy a quality used vehicle. Thomas and Greg are the owners who not only buy quality vehicles, but price them at a fair price. A lot of vehicle for the money. In addition to treating you like family, Steve will assist you in all your automotive needs including financing. These great bunch of guys a trustworthy and “no pressure” sales . Highly recommend considering North Brook Auto Sales for your next vehicle purchase!" "I worked with Steve at Northbrook. He was a wealth of information and very helpful with our purchase. The prices were right in line with Edmunds." "We bought a car from this dealer and the service was excellent from the moment we walked in, until we left. We found this dealer through our military banking car buying app, so we knew we were going to a trusted location. When we arrived, we were pleased with everything they did for us, from accommodating our twin toddlers during the car buying process, to helping us transition to our new car easily. We came from Virginia Beach and they were kind enough to fill the tank for us before leaving the lot. 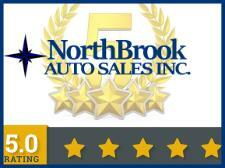 I would definitely recommend Northbrook Auto Sales to anyone in the market for a new/used car!" "Bought from them a month ago, good experience. After a test drive (by myself, without anyone babbling to me) I told them that I would like to buy the car if they replaced a couple things for me. They agreed. Then I asked if they can hold it for two more days while I arranged selling my current vehicle, and they agreed. Two days later I paid, drove the car home, and a week later the parts arrived that we agreed on. Good dudes, hassle free, and no stress." "I was pleased to buy my first car from NorthBrook Auto Sales. The gentlemen were kind and helpful." 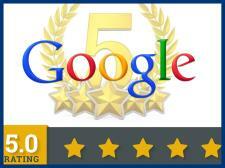 "Awesome service, and I ended up buying the 2008 Cadillac Escalade". "I bought a beautiful Toyota 4 Runner and the experience couldn't have been any better. After we closed on the deal I was driving home and the check engine light came on. Even though the warranty was supposed to be a 50/50 split NorthBrook agreed to pay for the repair. It needed 2 oxygen sensors. Then the check engine light came on again. It needed a catalytic converter. NorthBrook paid all of the expenses. I highly recommend NorthBrook Auto Sales INC. to anyone who wants to be treated fairly." "I had a great experience, no problems and Steve worked with my budget so I could get the vehicle I wanted. I didn't get the green jeep but am satisfied with the one I did get. I would go back if I were in the market for another and would tell people about them."